All Seasons Termite & Pest Control - Rodent Exclusion The most effective means employed to control rodent is exclusion. 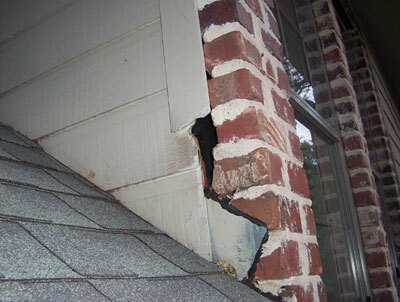 If openings are eliminated, in most cases, rodents cannot get into a structure. However, sometimes a dirt floor may exist inside a structure to which a burrowing rodent may find entry. Exclusion or rodent-proofing, requires strong material through which rodents may not be able to gnaw such as concrete, sheet metal, coarse grade steel wool, hardware cloth and crushed glass. We can provide you all services related to exclusion at a very affordable cost.The next step in controlling rodents is eliminating food sources. People are often surprised to find out that foodstuffs that had long been forgotten are the source of food for rodents. The bird seed up in the attic or in the garage or a box of food which fell down behind a shelf somewhere. Therefore, it is important to seek those things out. Also, any food in boxes or bags as well as the daily garbage must be protected by placing these items into impervious containers of metal or glass. Outside, to keep rodents away, our company offers several products you can use to control the recurrence of rodents.The last step in rodent management is removal of rodents from a structure. It may be achieved in a number of different ways. There are electronic devices which emit very high frequency ultrasonic sounds which frighten rodents out of a building. Trapping would be the another possible step in rodent control. There are "humane" and multiple catch traps which usually capture rodents without harming them. There are also snap traps and glue traps which may be used for this purpose.Finally, the most common rodent control technique application of rodenticide bait. Most products used today are anti-coagulant type baits. 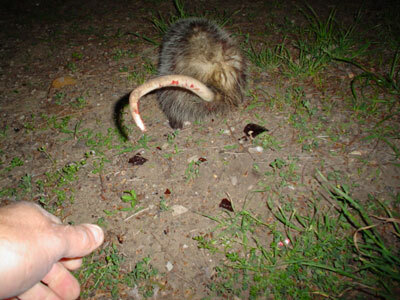 These kill the rodent by thinning the blood until the animal hemorrhages internally. The animal suffers some dizziness, then dies from the loss of blood. This process may take from five to ten days. Unlike pellet baits which are sometimes horded and stored, meal baits are consumed from the package which helps to assure success. Bait packs must be placed in areas that are inaccessible to children or pets.If you need specific information about any of the products we use, please send your inquiry and we will be happy to provide you with complete product pharmacology and use. The most effective means employed to control rodent is exclusion. If openings are eliminated, in most cases, rodents cannot get into a structure. However, sometimes a dirt floor may exist inside a structure to which a burrowing rodent may find entry. Exclusion or rodent-proofing, requires strong material through which rodents may not be able to gnaw such as concrete, sheet metal, coarse grade steel wool, hardware cloth and crushed glass. We can provide you all services related to exclusion at a very affordable cost. The next step in controlling rodents is eliminating food sources. People are often surprised to find out that foodstuffs that had long been forgotten are the source of food for rodents. The bird seed up in the attic or in the garage or a box of food which fell down behind a shelf somewhere. Therefore, it is important to seek those things out. Also, any food in boxes or bags as well as the daily garbage must be protected by placing these items into impervious containers of metal or glass. Outside, to keep rodents away, our company offers several products you can use to control the recurrence of rodents. The last step in rodent management is removal of rodents from a structure. It may be achieved in a number of different ways. There are electronic devices which emit very high frequency ultrasonic sounds which frighten rodents out of a building. Trapping would be the another possible step in rodent control. 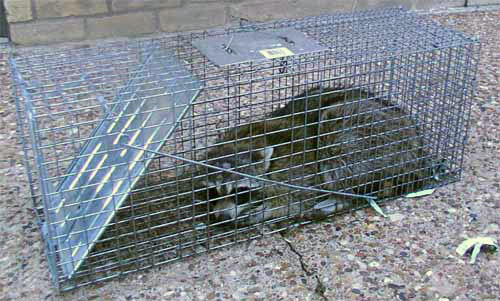 There are "humane" and multiple catch traps which usually capture rodents without harming them. There are also snap traps and glue traps which may be used for this purpose. Finally, the most common rodent control technique application of rodenticide bait. Most products used today are anti-coagulant type baits. These kill the rodent by thinning the blood until the animal hemorrhages internally. The animal suffers some dizziness, then dies from the loss of blood. This process may take from five to ten days. Unlike pellet baits which are sometimes horded and stored, meal baits are consumed from the package which helps to assure success. Bait packs must be placed in areas that are inaccessible to children or pets. If you need specific information about any of the products we use, please send your inquiry and we will be happy to provide you with complete product pharmacology and use. Trapping these guys is the same as all critters that have invaded the attic. However, the accepted acquaintances and generational scenario is the same. Repellents usually do not work for raccoons and opossums. Most of the time, trapping is the only way to go. I stood there as she walked away and I could not do anything to stop her. She wanted to go and live with the other animals, so I had to let her go.